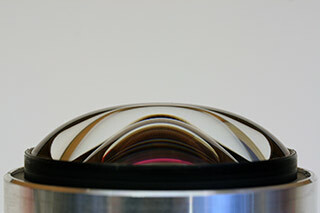 This is part one of the CinemaTechnic Lens Profiles for Zeiss Master Prime lenses. As I mention in the above linked article High Speed Primes Genesis, the first Master Prime prototypes were assembled in May 2004. 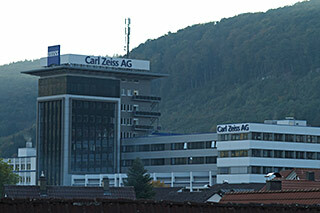 I was at Zeiss Oberkochen for service training during that time. Introduction to the market by ARRI and Zeiss took place at NAB in 2005. The original set, as announced in 2005, was quite extensive for a new lens set, comprising 16, 18, 21, 25, 27, 32, 35, 50, 65, 75 and 100mm focal lengths. In 2007, 14mm and 150mm focal lengths were added to the set. A 12mm was introduced in 2010, and the last focal length to be added, 135mm was first shown at IBC in September 2011. ARRI and Zeiss could have simply come up with a new set of High Speed T1.3 lenses without leaded or arsenic doped glass and they would have sold quite well (at least after the introduction of the RED ONE). But instead ARRI and Zeiss decided to take the new design to a whole new level of sophistication and complexity. It was decided to take on one of the imaging problems that was taken for granted in cinematography: Image “breathing”, the change in image size caused by the movement of the lens element when refocusing the lens. In traditional still and cine prime lens designs, focus is accomplished by moving the entire lens optics toward or away from the image plane (film or sensor). This causes the magnification ratio of the lens to increase as the distance to the image plane is increase. This is called “breathing” in the cinematography industry. The solution that Zeiss chose, and which they patented, took two forms: For the shorter focal length lenses (a highly modified Distagon lens design) up to 40mm, there is only one moving lens group that does all the focusing. Both the front and the rear groups remain fixed. For 50mm and longer lenses (modified Planar or Sonnar designs), things got much more complex. These lenses all use two moving lens groups, plus a fixed group (the front group). The two moving focus groups move at different rates. For all Master Prime lenses, focus is accomplished with a cam/follower system, similar (although a much more complex implementation) to the Cooke S4 lenses. In the case of the Distagons there is one focus cam, and in the case of the Planar or Sonnar lenses (50mm and longer), there are two focus cams, mounted in tandem. This allows for the differential movement of the two focus groups. The result is closer in terms of mechanical execution and complexity to a zoom lens than to the typical prime lens. It is fairly accurate to say that these lenses are twice as complex an optical design as the High Speed lenses. The Master Primes also use a new anti-reflective coating called T*XP. This coating offers higher performance than the already effective T* coating used for all previous Zeiss cine lenses (and some current models as well). Special lacquers of “blacker than black” paint were also developed for painting the edges of the lenses. This greatly reduces stray light reflecting from the ground lens edges. Another area that was addressed was the issue of previous cine prime lens design having focus movements that became stiff and hard to turn in cold temperatures. This was due to the use of fine pitch helical focus threads that required grease. The grease would become thick at low temperatures greatly increasing friction and therefore the torque required to turn the focus ring. Sometimes focus motors would not be able to handle the torque levels and fail to function. The master primes use a cam/follower system and a focus bearing using synthetic bearings. This focus system has very low friction and operates in a range of -20 to +50º C with minimal change in focus torque. 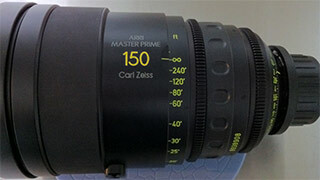 The torque required to turn the focus ring of a Master Prime is lower than that of any previous Zeiss cine lens. The Master Primes were the first lenses to incorporate ARRI’s Lens Data System (LDS) from the start. The result is a much better integration of the electronics than in the LDS Ultra Primes. All the LDS components are manufactured by ARRI Vienna and have ARRI spare part numbers. The focus scale on the Master Primes is of large diameter and is a simple cylinder, not incorporating part of a focus ring or focus gear. The focus travel is about 340º from Minimum Object Distance (MOD) to infinity. The focus scales have many marks and offer a very high degree of resolution of focus distance calibrations due to their diameter. Both feet and meter marks are present on all focus scales. Each focus scale has a letter code, and each lens is matched to a focus scale letter code (although this can change if the lens is serviced). Traditionally, Zeiss prime lenses always had an end stop for focus travel right at the infinity mark. The reason for this was that their wide and fast lenses had protruding rear elements and could be in danger of contacting the expensive and delicate spinning mirror reflex shutter on ARRI film cameras. With the Master Primes, due to a combination of focal length, large aperture, large entrance pupil and high resolution, it was determined that focal lengths of 75mm and up may not reach infinity focus under all conditions of temperature/pressure etc. At some point in production, 75mm and longer Master Primes were changed to focus past infinity called “infinity overrun”. These lenses will have an additional short focus mark just fast the infinity mark. Older Master Primes can be set up to overrun infinity without special modification, although there will not be the extra hash mark past infinity. This is something I recommend and a service I perform for my clients. 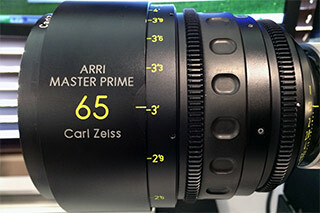 Zeiss Master Primes are an ARRI/Zeiss product and available exclusively worldwide through authorized ARRI dealers.